Coffee table and Lego storage in one! Build a Lego storage for the kids and a nice coffee table for you in just one DIY project! Kids – they play all the time and all around the house, especially in the living room. Now if you’ve got kids who love playing Lego (and leaving the pieces scattered in your living area), this storage idea is perfect for you. 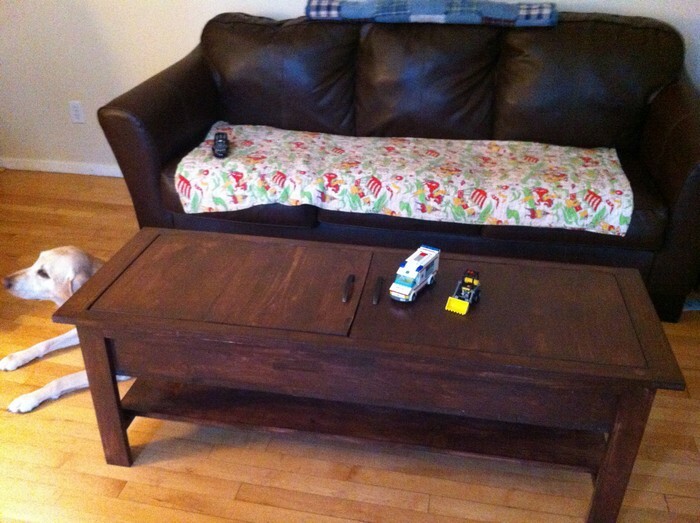 By building this coffee table with Lego storage, keeping the living room neat after playtime is easier! And it’s certainly not just for storing Lego pieces. You can store any other small toys and put books or bigger toys in the storage bins below. This kind of coffee table is definitely perfect for living rooms that also serve as the kids’ play area! Previous PostMake your bathroom floor unique with chalk paint! Next PostLearn how to build your own hanging day bed swing! 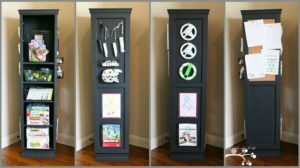 Build a space-saving swivel storage cabinet ! Make This ‘Under The Staircase’ Cabinet!